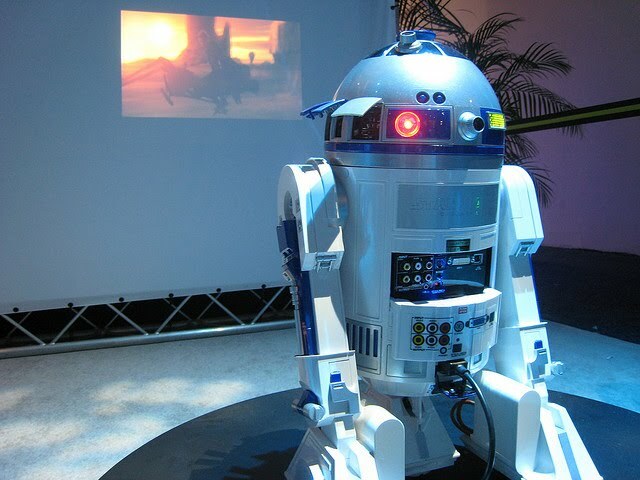 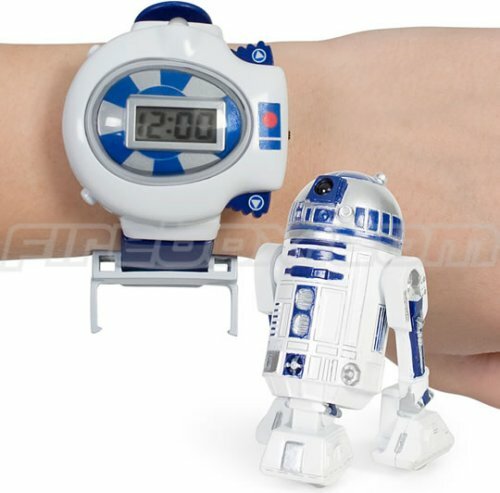 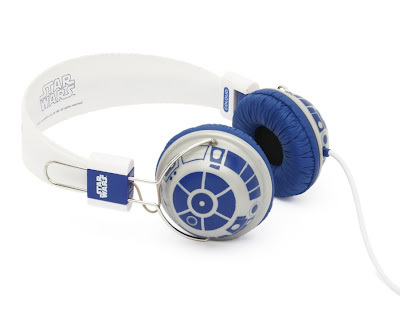 Creative gadgets and product designs inspired by R2-D2 of Starwars. R2-D2 Fridge: Only 1000 copies of these were made and were intended as a prize for a contest, held at 7-11 stores in Japan back in 2002. 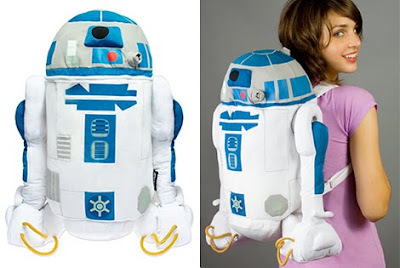 R2-D2 Backpack: Cool R2-D2 inspired backpack. 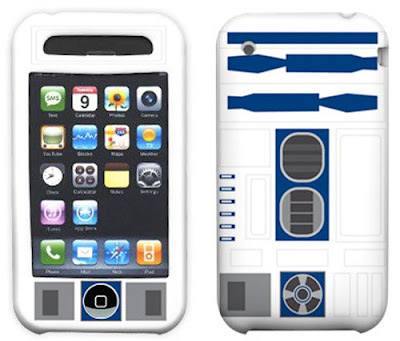 R2D2 iPhone Case: A cool iPhone case that resembles R2D2 of Starwars. 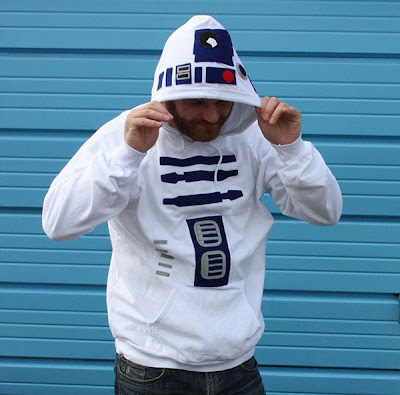 R2-D2 Hoodie: If you want one, this fun R2-D2 hoodie is available for $92 at Etsy, it looks like there is only one available in XL. 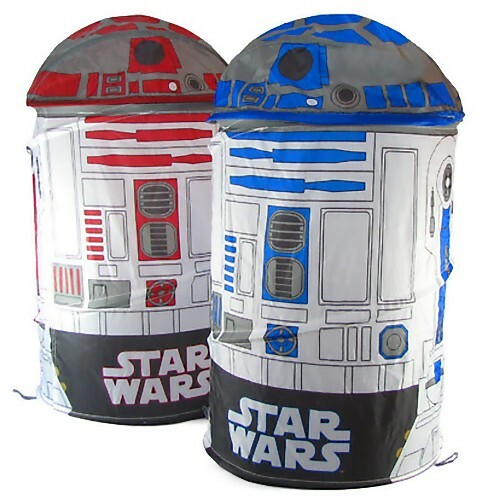 R2-D2 Laundry Baskets: These cool Starwars R2-D2 laundry baskets are from Japan; you get a set of two - one classic blue R2-D2 and one red R2-D1. 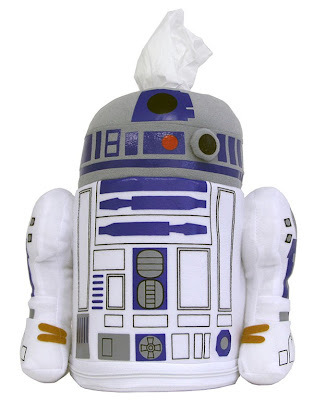 R2-D2 Tissue Paper Cover: R2-D2 Tissue Paper Cover from Japan comes with a zipper at the bottom of the box, so you can put the tissues. 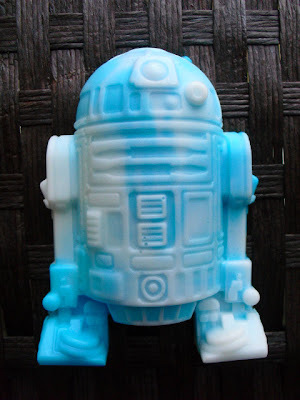 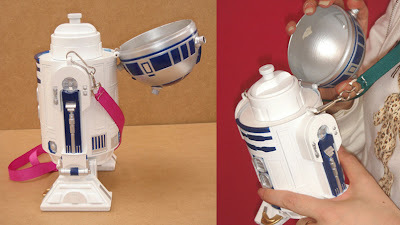 R2-D2 Peppermill: Simply twist R2's head and he deposits pepper onto your food. 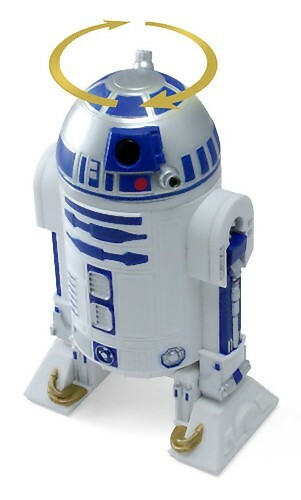 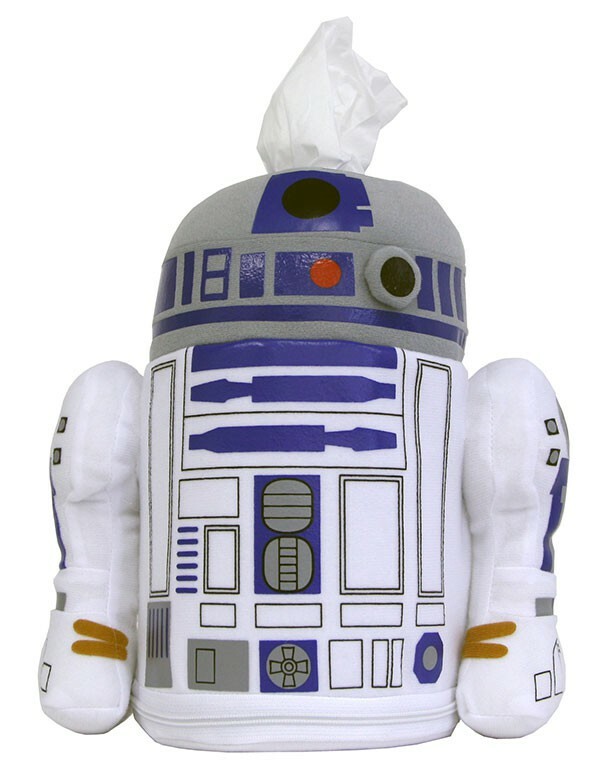 R2-D2 Water Bottle: This cool R2-D2 water bottle comes from Tanomi, a Japanese company. 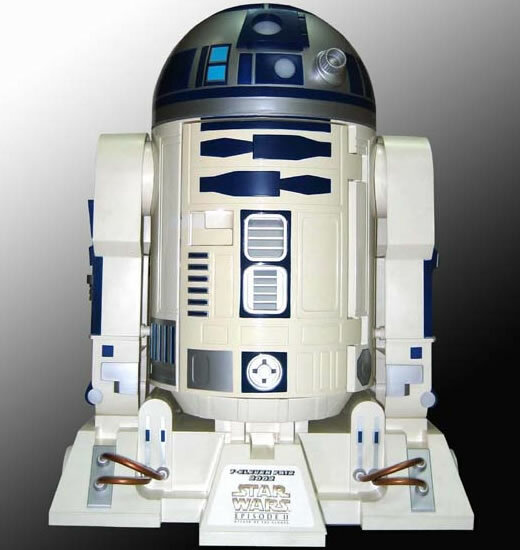 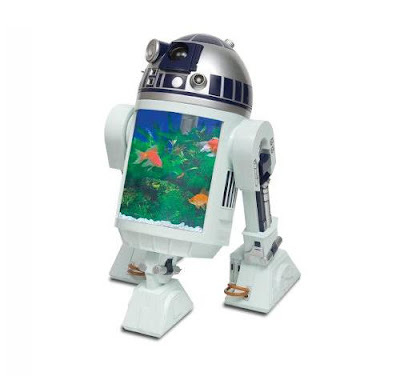 R2-D2 Aquarium: Its modeled after R2-D2; it holds a 1 3/4-gallon aquarium tank in his centre. 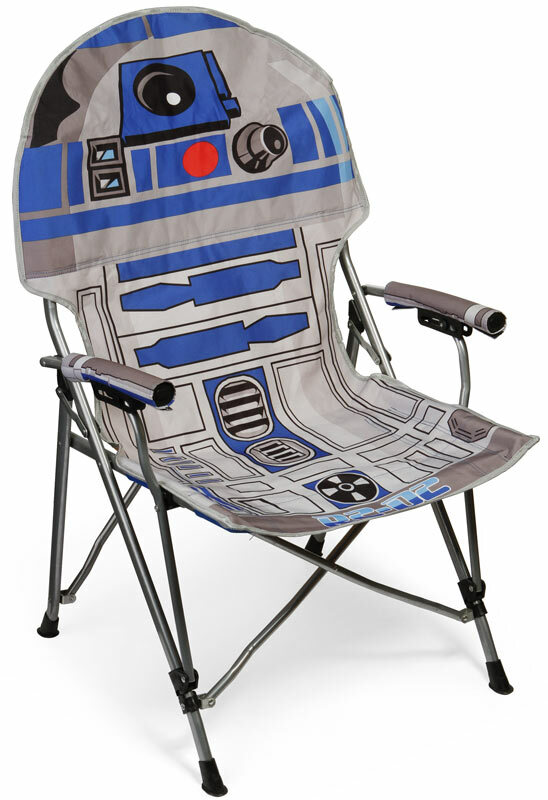 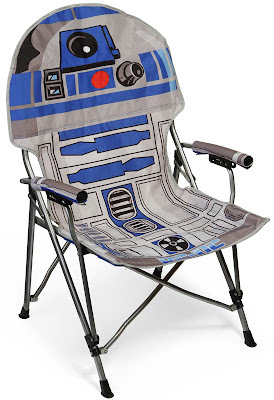 R2-D2 Folding Armchair: Folding camp chair featuring R2-D2 design, suitable for indoor or outdoor use. 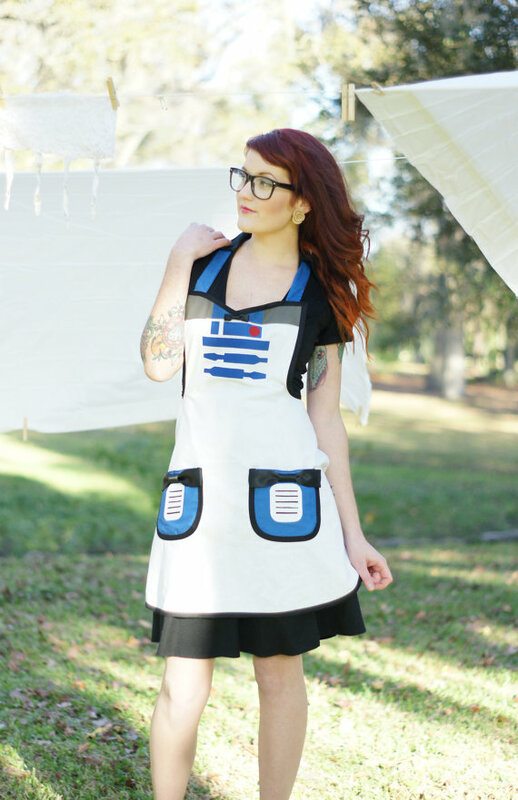 R2-D2 Apron: This apron is modeled after everyone's favorite R2-D2.